Accent your next project with this pretty outline of a tahiti daffodil! Stitch this onto tote bags, tea towels or a decorative pillow. 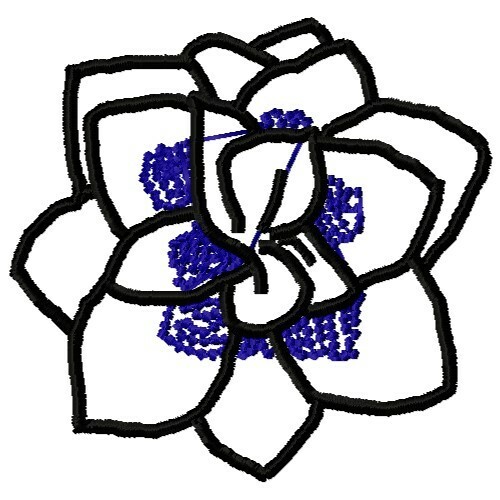 Embroidery Stitches is happy to present Tahiti Daffodil Outline machine embroidery design which has 5789 stitches and is [62.74 mm x 60.71 mm] large. If you would like to view more embroidery patterns please search on our embroidery designs page.